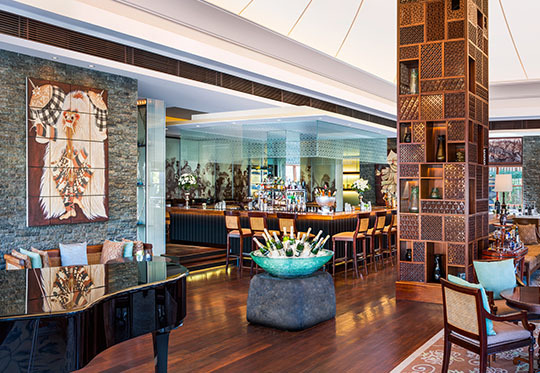 Overlooking the divine grounds of The St. Regis Bali Resort, King Cole Bar continues the legacy of the original King Cole Bar in New York. 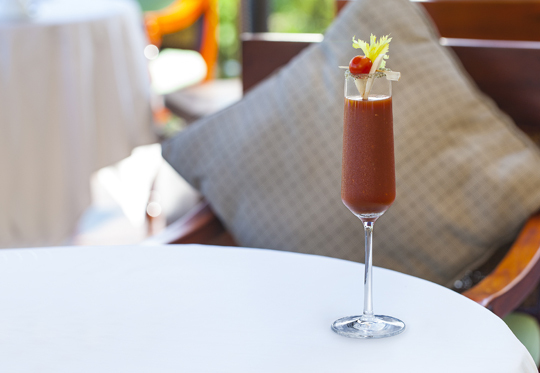 The resort’s mixologist has created a menu of Bloody Marys for guests’ sipping pleasure, in addition, the lounge offers a full bar menu, from fine Champagne and martinis to island-inspired cocktails shaken with fresh-squeezed juices. The King Cole Bar features a classic live jazz band each evening and upon request, it also presents a Champagne Sabering ritual in which the sommelier opens a bottle of Champagne with a sword. Outdoor seating offers tranquil garden and ocean scenery complemented by a gentle ocean breeze. Indoor bar seating is comfortable and intimate, inspiring guests with its thoughtful décor of handcrafted Indonesian artifacts and art. 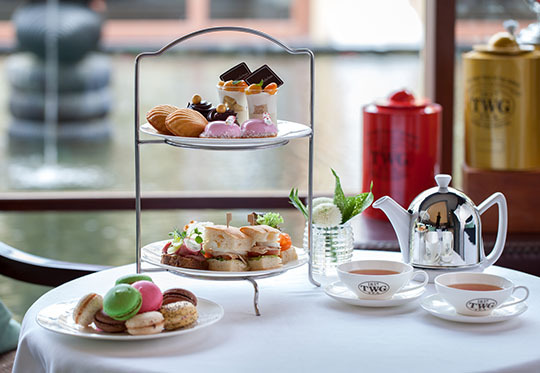 For the tea connoisseurs, indulge in a beloved Astor tradition as classic afternoon tea is served daily within the dining room or al fresco on the terrace.